You are at:Home»Great Falls Montana»Road Trip! 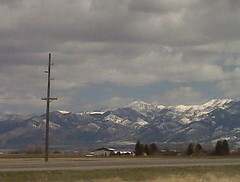 Looks like the Bridgers to me. Bozangeles? Damn, you’re good, Craig! Yes indeed – my first trip to Bozeman! It was cool.